Theses were taken in columbus ohio. Sent in by Anthony Martin. by, William and Kathleen Porter. 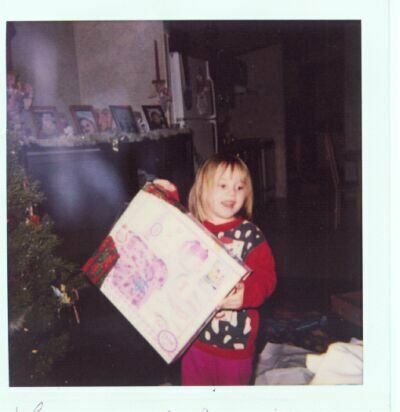 Here is a Polaroid photo that was taken at Christmas. We think that it might be our grandson who died at five months old. 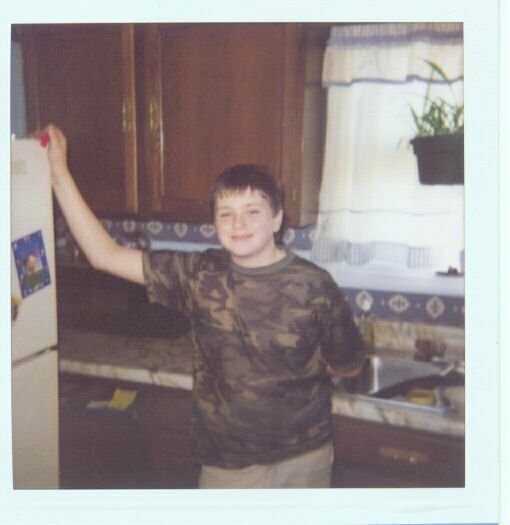 Here is a photo taken with a Polaroid camera.  There is a yellow thing with an orb trail passing over it that appeared between my son and the refrigerator. 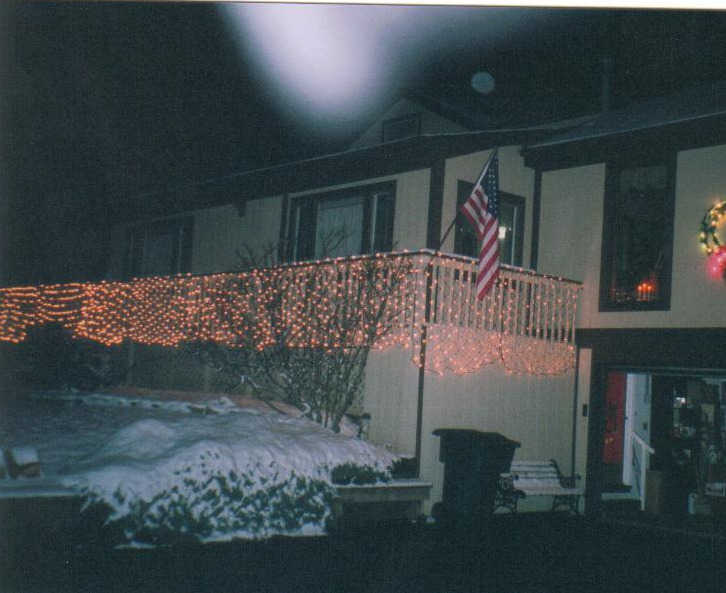 I asked the spirits that live in our house to please have their picture taken with my son and this is what showed up. 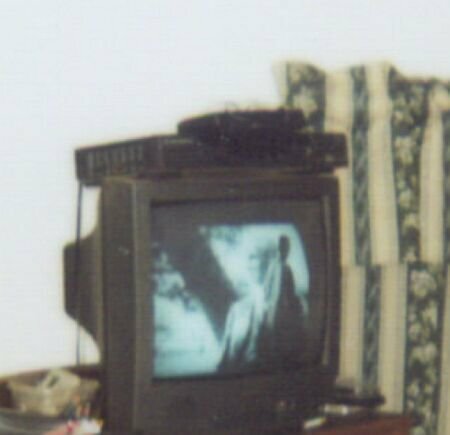 I am not sure which spirit comes as what form or shape, but I believe that they are probably my wife's grandparents that have been around in this house ever since they have passed over. They use to make all kinds of noises and would make the lights turn on and off by themselves. Even the dog that we used to have barked at them. Things settled down for a time, but now they are at it again. I have gotten some recordings in this house of various people trying to leave messages that I would ask them to leave. My father-in-law was the best one. This photo is a close up of one of them in our hallway. This photo makes the third one where I had other images that showed up over the main ones that were being broadcasted. The picture of the old man is being covered by a dark image. It wasn't there until this picture developed. 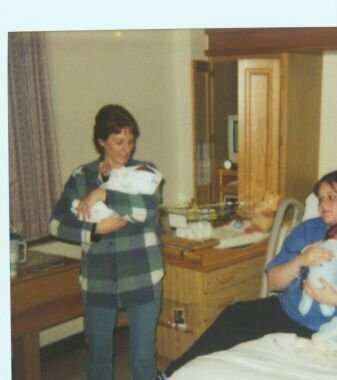 The yellow orb that is above my wife's head was taken at the hospital when my other grandson was born. 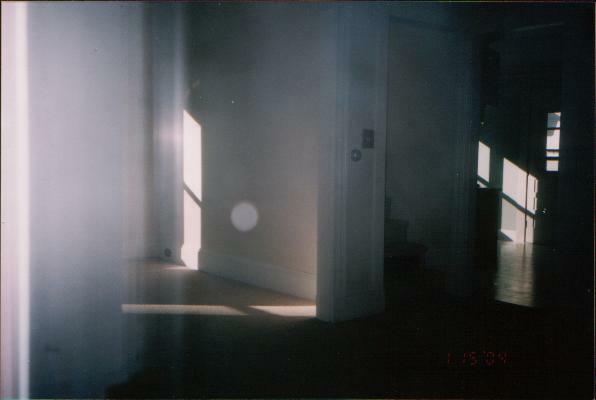 The most interesting thing about this is that the same yellow orb appeared in the photos that were taken when another of my grandsons was born. They were a month apart and born in the same room where this orb showed up all over the room.